Dance has always been my passion – from the time I started dancing aged four until now. I joined Patricia McIntosh’s School of Ballet in 2004 and have been dancing there for over 12 years. Nothing makes my heart sing more than to dance so I dance almost every day. Miss Mac’s outstanding wisdom and guidance have helped me achieve eleven consecutive successful Cecchetti exams with participation in the Gala Performance as a reward for my efforts. Each year I take part in the Durban Dance Foundation Bursary Presentation which forms part of The National Creative Arts Youth Festival and I won bursaries in 2008, 2009, 2012 and 2013. 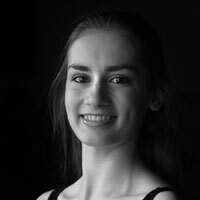 Other dance highlights include participation in the Mabel Ryan Medal Award in 2011, being judged the winner of the Faith de Villiers Trophy and Intermediate Foundation Cecchetti bursary and the top Intermediate Foundation dancer in KZN in 2012. Playing the lead role in my studio’s production of Cinderella that year was a dream come true and motivated me to work even harder. This resulted in a successful audition for the KZN Dance Academy in 2013, and being selected as the joint winner of the Cecchetti Intermediate trophy and bursary. I also successfully auditioned for membership of the KZN Youth Ballet under the direction of Dudley von Loggenberg – a real privilege. Last year I was the runner-up in my Advanced 1 exam and I also performed in a production of Footloose which was staged by the Young Performers Project under the direction of Themi Venturas. This year I had the honour of being chosen as the principal dancer of the KZN Youth Ballet in our performance of two challenging pieces for Love of Dance presented at The Elizabeth Sneddon Theatre. I am currently preparing for my Advanced 2 examination which I plan to complete next year. I am also rehearsing for a role which I secured in a school production of Guys and Dolls which has been a great opportunity to broaden my dance experience with an exciting introduction to Theatre Dance. It is an honour to be one of the founding members of the KZN Dance Academy – it provides invaluable opportunities to extend my studio work and offers additional stage experience for which I am enormously grateful. Mikhail Baryshnikov said, “The essence of all art is to have pleasure in giving pleasure”, and I would like to explore my creative spirit to the fullest by doing what I love and that is to dance. Dance offers endless opportunities and right now every avenue appeals to me – performing, teaching, examining and choreographing. More than anything I want to share my love and passion for dance with anyone who is willing to watch and learn. I’d like to inspire and motivate and keep this magnificent, magical art alive and flourishing, wherever I am in the world.